With new plant life beginning to stir in the ground from their winter slumber, poking their heads up from the earth, so it is with our energy and inner vitality. As the earth’s energy is rising, naturally, so does our own. Or so it should. For some of us, emerging from our winter hibernation and patterns of eating heavy food can be more challenging than easy. Although we may feel the pull to do an inner “spring cleaning,” the process can feel daunting and we might feel uncertain about where to begin. Luckily for us, we have an abundance of helpful herbs on our side, many of which conveniently pop up first thing in spring! Read on to discover 6 easy steps (you can start today) to revitalize your health with herbs this spring. This first step is easy, fun, and delicious! One of the best ways to revitalize your health with herbs this spring is to simply forage and eat wild edibles, herbs in your garden, or fresh greens cropping up at your local farmer’s market. Stay creative and try to eat a variety of different spring greens in various ways every day. Spring greens tend to be bitter in flavor. This bitter flavor stimulates our digestive juices to get moving again after a long, sluggish winter (Masé, 2013). Many spring greens stimulate the lymphatic system, promoting waste elimination through the skin, kidneys, liver, and lungs (Hoffmann, 2003). In general, spring greens are nutrient-dense and eating them daily can help cleanse and lighten the system after a winter fare focused on heavier foods (L’esperance, 1998). Depending on your area, the different types of edible spring herbs growing will vary. Here are a few common ones to look for: violet flowers (Viola spp. ), nettle (Urtica dioica), chickweed (Stellaria media), cleavers (Galium aparine), dandelion leaves and flowers (Taraxacum officinale), lamb’s quarters (Chenopodium album), watercress (Nasturtium officinale), wild spinach (Chenopodium spp. ), and creasy greens (Barbarea verna). Check out our post on how to forage and feast on spring nettle here. There are a couple points to consider if you are foraging your own herbs. First, be sure that you have properly identified the herb before harvesting. Many plants can appear similar at first glance so it’s critical to have a positive ID before harvesting any plant. Next, be mindful of land use before picking any herbs. Lawns and parks may be sprayed with pesticides or have dogs frequently pee on the plants there. Agricultural land may be sprayed with pesticides or herbicides. Roadside plants may be impacted by road salt and runoff as well as herbicides. Vacant properties may be impacted by historical contamination. And finally, be sure to have landowner permission before harvesting from land that is not your own. Adapted from: Holly Bellebuono (Bellebuono, 2016). Blend the blanched greens in a blender or food processor. Scrape the sides as you go if needed. Slowly pour in the olive oil while the machine is still running. Add the nuts and garlic. Blend until you reach your ideal consistency. Pour the pesto into an airtight container. Add a thin the layer of olive oil on top to prevent oxidation and mold from occuring. The pesto will keep in the refrigerator for up to 2 weeks. Wintertime is traditionally a season of sparseness. In times past, cellars would be stocked with root vegetables, grains, cans, and jars of food to get families through the “hunger months.” Given this natural dietary shift, many people didn’t receive the same range of nutrients from their food (Prentice, 2006). Thankfully, in this modern day and age, we have the luxury of eating bananas in the snow and drinking green juices every day if we want to. However, many of us still tend to eat warming and comforting foods in winter, which promotes a similar diet as our ancestors. An excellent way to revitalize your health with herbs this spring is to drink a daily nutritive tea. Most nutritive herbs tend to be neutral in flavor so creating a tea formula is easier to balance in taste. Some nutritive herbs you can draw from include: alfalfa (Medicago sativa), oatstraw or oat tops (Avena sativa), red clover (Trifolium pratense), nettle, violet, raspberry leaf (Rubus idaeus), dandelion leaf, horsetail (Equisetum arvense), and rose hips (Rosa spp.). For a dash of flavor and other health supporting benefits, consider adding: spearmint (Mentha spicata), licorice root (Glycyrrhiza glabra), or cinnamon chips (Cinnamomum spp.). The ideal method for preparing a daily nutritive tea is to make an overnight infusion. This way, if you want to add nettles or any roots, you are able to extract more of the constituents inside. If possible, strive to drink a quart of nutritive herbal tea each day this spring. If this feels like too much to take on at once, challenge yourself to do this for one week or 21 days to start. 3. Get Your Circulation Going! A great way to revitalize your health with herbs this spring is to get your blood and lymph circulation moving again! There is a general tendency in winter to be more sedentary, especially since we have to bundle up each time we want to go outside. Although rest is definitely crucial, now that daylight hours are longer and the air is warmer, it’s time to get things moving again. A simple step you can take today is to start dry brushing and using an herbal-infused oil for self-massage. Dry brushing is a revitalizing way to exfoliate the skin and promote lymphatic circulation (Caldecott, 2006). Remember to always brush in upward strokes going towards the heart and avoid brushing on areas where you have sensitive skin (including the face). Since your dry brush is sloughing off so many dead skin cells and detoxifying the skin, make sure that you rinse your brush off after every use and wash or sanitize your brush every week if used daily. An herbal-infused oil self-massage is one of the most luxurious and nourishing, yet simple, steps you can take to revitalize your health this spring. In Ayurveda, this practice is called Abhyanga and has been utilized since ancient times for a variety of health benefits. According to Sutrasthana in the Charaka Samhita (an ancient Ayurvedic text suggested to have been written around 400-200 BCE): “The body of one who uses oil massage regularly does not become affected much, even if subjected to accidental injuries or strenuous work. By using oil massage daily, a person is endowed with pleasant touch, trimmed body parts, and becomes strong, charming and least affected by old age” (Banyan Botanicals, n.d.). You can incorporate both of these practices easily into your daily routine by brushing right before you shower, then doing a quick self-massage with herbal-infused oil afterward. A good practice to embody this spring is taking herbal bitters daily. For those that have not hopped on the bitters trend yet (or if you only enjoy them in cocktails or other beverages), try taking them on their own before or after meals. Just like eating bitter spring greens can help stimulate and regulate your digestion, so can taking herbal bitters as a tincture. Since you may not have access to eating fresh spring greens daily throughout the season, taking herbal bitters is an excellent additional step for revitalizing your health. Herbal bitters are a classic remedy for indigestion and to help normalize stomach acid levels around digestion time (when they are needed most). This means that using herbal bitters before meals can assist in our body’s ability to assimilate nutrients and properly digest food from start to finish (Hoffmann, 2003). As many herbalists already know, there are an abundance of bitter herbs out there! This means that you can get creative when making your own bitters formula at home. Here are a few popular herbs to add in a bitters tincture blend: fennel seed (Foeniculum vulgare), gentian (Gentiana spp. ), juniper berries (Juniperus spp. ), dandelion root and leaf, angelica root (Angelica spp. ), yellow dock root (Rumex crispus), chamomile, orange or lemon peel (Citrus spp. ), and burdock root (Arctium lappa). Simply sprinkle a few drops (approximately 5-15) over different areas of the tongue 20-30 minutes before or after meals. We have taste receptors located all over our tongues so hitting as many as possible will help effectively revitalize digestion (Masé, 2013) . Since tasting the bitter action of the herbs is key to get those digestive juices going, make sure you take bitters on their own and not diluted in water or another beverage. Although they can be tasty this way (and make a great herbal mocktail! ), you do not receive the same digestive focus in action as you would taking them directly on the tongue. Keep a bottle of bitters in your bag, kitchen, or office to remind yourself to take them periodically throughout the day. Using herbal bitters daily in this way is a powerful step toward revitalizing your health this spring. Spring cleaning happens both inside and out! Burning herbal incense in your house is a great way to clear stagnant energy from winter (especially since our doors and windows tend to be shut tight during that time). On an energetic level, “leftover” or stagnant energy in a space can affect our mental state, clarity of thoughts, and overall vitality. On a physiologic level, burning herbal incense may help purify the quality of air in our houses, including reducing some airborne bacteria counts (Nautiyal et al., 2007). Using herbal incense is a somewhat intuitive practice, so allow yourself to get creative with the herbs you choose. Here are a few to draw from that are known to have beneficial effects in clearing energy and purifying the air quality overall: juniper, cedar (Cedrus spp. ), rosemary (Rosmarinus officinalis), lavender (Lavandula officinalis), copal (Protium copal), mugwort (Artemisia vulgaris), thyme (Thymus vulgaris), lemon balm (Melissa officinalis), hyssop (Hyssopus officinalis), and yarrow (Achillea millefolium). When using herbal incense in your abode, remember to open the windows and/or doors temporarily to help effectively clear out stagnant energy and stale air. Doing this also helps to bring in new, fresh air and energy from outside. Walk around the entirety of your space with your herb bundle and be sure to get in all of the corners and closets. Stepping back outside into nature after a long, cold winter is incredibly revitalizing for your overall health. A great way to reconnect with the changing seasons is to spend time outside and see what plant life is starting to emerge and what herbs are springing to life around you. While most of us have heard how much fresh air can do us good, there is actually a therapeutic practice, with many supporting clinical studies, that has been developed around the health-boosting properties of nature! “Nature Cure” was developed by Henry Lindlahr over 100 years ago which facilities and practitioners around the world still recommend, draw from, and practice today. The main focus of the Nature Cure system is to bring the entire body, mind, and spirit of a person into balance and harmony with nature in its entirety (Lindlahr, 1914). One of the core practices in this therapy is simply returning to nature by spending periods of time outside and experiencing the elements and plant life around you. Seize a warmer day (or two) this spring and make an excursion into nature, either for a hike, stroll, or simply to find a place to go sit, meditate, and enjoy being in the outdoors. Observe any new plant life around you and witness the changes in the environment. Try sitting with an herb that you find and ask it questions or simply observe it in its natural habitat. Allow yourself to get to know it on a different level, without the intention of harvesting or physically using it for anything. 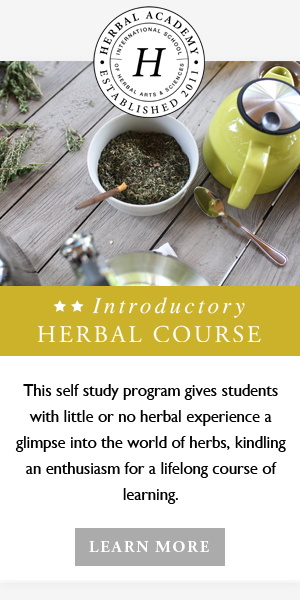 This practice can be highly revitalizing for your health and work as an herbalist. While it’s never the wrong season to revitalize your health with herbs, spring is an ideal season to start a new routine, invigorate your bodily systems and natural energy forces again, and sync with the rising energy of nature. Why not seize the season and spring back into health today? Ready to start revitalizing your health with herbs this spring? Learn more about springtime herbs through reading our posts on 6 Spring Herbs You Can Forage Now, 3 Ways to Use Cleavers for Spring Cleansing, and Sweet Violets of Spring. Banyan Botanicals. (n.d.). Ayurvedic self-massage. Retrieved from: https://www.banyanbotanicals.com/info/ayurvedic-living/living-ayurveda/lifestyle/self-oil-massage/. Bellebuono, H. (2016). The healing kitchen. Boulder, CO: Roost Books. Caldecott, T. (2006). Ayurveda: The divine science of life. Philadelphia, PA: Elsevier Health Sciences. L’esperance, C. (1998). The seasonal detox diet: Remedies from the ancient cookfire. Rochester, VT: Healing Arts Press. Lindlahr, H. (1914). Nature cure. Chicago, IL: Nature Cure Publishing. Masé, G. (2013). The wild medicine solution: Healing with aromatic, bitter, and tonic plants. Rochester, VT: Healing Arts Press. Nautiyal, C.S., Chauhan, P.S., & Nene, Y.L. (2007). Medicinal smoke reduces airborne bacteria. Journal of Ethnopharmacology, 114(3), 446-51. doi: 10.1016/j.jep.2007.08.038. Prentice, J. (2006). Full moon feast: Food and the hunger for connection. White River Junction, VT: Chelsea Green Publishing.